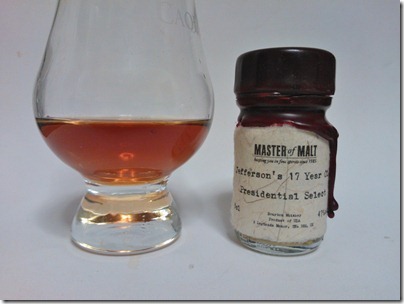 This week is one of the older bourbons I have in the cupboard, coming in at a respectable 17 years. The Presidential Select suffix, along with that age statement, has me expecting big things – will I be disappointed? 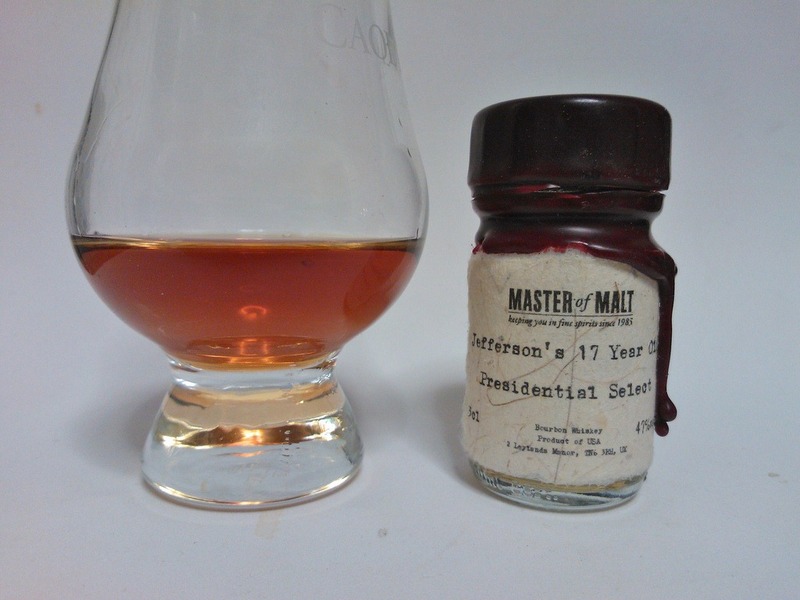 This is Jefferson’s 17 Year Old Presidential Select, a dram that promises a lot with such an impressive name! It’s a gloriously deep orange in the glass, with delicious aroma – sweet, rich vanilla, tones of toffee and oranges and a nice alcohol hit. A splash of water cuts that alcohol down and emphasises the citrus, while revealing hints of blossom and pepper. The alcohol burn is big on tasting, but not unpleasant. A very smooth spice too, along with some smoke. Water pushes the alcohol back a little but leaves the flavours deep and rich with dark dried fruit and spices, like a Christmas cake in a glass. A fabulous dram; definitely a distillery to add to my ‘try the rest of their range’ list.